Since 2006, we have been selling a hand-picked and unique range of premium teas and accessories at the House of Tea. The store is run by two enthusiasts David Obucina and Eva Strnadova. To a large extent, we import our products directly from the country of origin and thus have more control over the quality. We sell our teas to a number of EU countries in Europe and some countries outside the EU. If you would like to shop with us but do not find your country in the list of countries when creating account please send us an email. EU countries pay Swedish VAT. It is duty free within the EU. Companies that are registered in a EU country other than Sweden and submit their VAT registration number to us when ordering do not pay Swedish VAT. We will manually remove the VAT from your order. Iceland, Greenland, Switzerland and Norway are not in the EU, but are welcome to shop with us. Customers from non-EU countries do not pay Swedish VAT and pay VAT and customs according to their own regulations. Nor do customers from Åland pay Swedish VAT even though Åland is a member of the EU. The freight is calculated according to a shipping table based on weight and can be seen on the shopping cart page when country is selected and has been updated with the update button or when a customer account has been created. Freight to Norway is calculated according to a weight table. You see the cost in the shopping cart when you select country and press Update or when you create a customer account with Norway as your shipping address. Prices will then be shown without VAT, as Norway is not a member of the EU. Norwegian customers do not pay Swedish VAT. 1.1 These terms and conditions apply to all orders you make through www.houseoftea.se and all sub-pages to this URL. 1.2 The House of Tea reserves the right to refuse order in individual cases. To make orders and shop at www.houseoftea.se, you must be 18 years old. 1.3 House of Tea takes no responsibility for any inventory differences, technical problems and typographical errors on our website. 2.1 The payment methods we offer are listed below based on region. Does the credit card transaction not work? Go back, select Prepayment and contact us. We will look at the problem and try to find a solution. 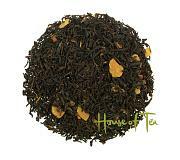 2.2.1 At www.houseoftea.se you can pay with VISA or Mastercard. In order to ensure security, all information is encrypted with SSL. This means that all information is sent through a secure connection that does not allows any unauthorized person to view your credit card details. 2.2.2 House of Tea cooperates with Samport Payment Services AB (Bambora). Samport (Bambora) is a certified approved payment intermediaire www.samport.com You are transported to Samports (Bamboras) encrypted payment page that applies 3D Secure standard for all payments. All existing security is used to prevent credit card fraud. 2.3.1 The billing fee is 19 kr. You will receive a paper invoice together with the shipment. 2.3.2 In case of invoice purchase, a valid social security number must be entered and a credit check is performed. We reserve the right to decide if you are entitled to an invoice purchase with us. We will notify you as soon as possible if this is not the case. 2.3.3 If you have any records for non-payment of debts you will be automatically denied payment by bill. If you are denied this option, you can still buy from us by choosing a different payment option. 2.3.4 We will not ship more than one order on invoice without payment received. The invoice is a 10 day invoice and is credited to our Bankgiro account number 5137-0989 alternatively to our SWISH 1231336270. Enter invoice number as message instead of OCR. 2.4.2 If we have not received a payment, we will send you a reminder email. If we do not get an answer, we will cancel the order and stock the goods again. 3.1 For shipping there is a fixed price of 29 kr in Sweden, regardless of your size of order. 3.2 Shipping for countries other than Sweden is calculated according to a shipping table based on weight and can be seen on the shopping cart page. 4.1.1 We usually ship your goods the same day as the order is made and payment is received if the order arrives the same day before 16.00. Delivery time is often the following day in Sweden but can be up to 5 business days. 4.1.2 We use Posten, Schenker or DHL to send shipments. The teas differ greatly in volume and the size of the shipment can vary a lot. 4.1.3 The Swedish Post only delivers packages directly home that are no more than three centimeters in thickness, and a note usually is delivered for pickup at the nearest pick-up point. 4.1.4 We ship the products in corrugated boxes. The teas are sent in suitable tea bags. 4.1.5 For not picked-up order to be sent out again, the total real shipping cost is charged according to the Swedish Post alternative Schenker, DHL price list. At all return contact us before and describe the problem. 5.1.1 Have you received goods other than ordered you have a right to a claim automatically. Contact us at once and we will inform you how we will proceed. 5.1.2 Contact us whether a product does not meet your expectations, we make an assessment of the case. .
5.1.3 In case of dispute, we refer to ARN (General Complaints) and we always follow their recommendations. 5.1.4 When approved claim the shipping cost will be paid by House of Tea. 5.2.1 Any damage to the goods ordered must be notified to us as soon as possible. For complaints due to shipment damage we approve claims automatically. When we have approved the claim we will send you a new product or reimburse you for its value, plus reimbursement for postage. Never send a product to us without having communicated this with us. 5.3.1 When buying products by mail order (online or otherwise), you are usually protected by the law, which will give you 14 days of moneyback quarantee. This does not apply with regards to foodstuff. We ask you in spite of this to contact us whether anything was not to your satisfaction to judge each case individually. 5.3.2 It is possible to return other goods than food (eg teaware) within 14 days, you should keep and return the product in its original packaging. 5.3.3 When approved money back on the goods you are responsible for shipping charges. Want to become a distributor of a unique high-quality tea assortment imported directly from its country of origin? Email us or call us to take part of our unique assortment as a retailer!